This online slot game adopts the traditional features such as having a 5 reel set up. There are 3 rows and 25 pay lines. The good news is the return to player is an impressive 96.53 percent which is a reason to get involved before we even go any further! Pragmatic play has succeeded here in making a functional game with an easy to understand pay table which means you can sit back and enjoy the theme without any confusion. Or come and play slots online from our catalogue, packed with hundreds of casino games. Pragmatic play is an expanding developer with a strong reputation. Although they have a reputation for relatively stale slot machines, they seem to be invested in creating stronger online slot games. They were originally launched in 2007 and are certainly rising in the online gaming industry. The lowest value symbols come in the form of low card suit (generic) but the highest paying symbols include dangerous crossbows, books and other symbols needed for an adventure. John Hunter comes in as the highest paying symbol and he is worth an impressive 32 times your original stake if you can land 5 across a full pay line! The wild symbol, which carries an image of Leonardo Da Vinci, only appears on reels 2, 3, 4 and 5. 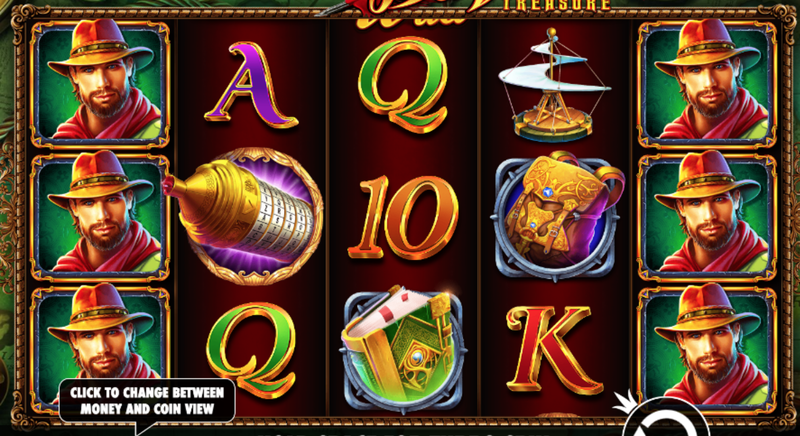 Bonus features include a free spins element which can be activated by landing 3 of the bonus symbols across the middle reels. There are three bonus features in total and they are chosen at random when these symbols appear. The map quest feature shows an endearing treasure map made up of 23 squares and spinning the wheel allows you to either advance on the map or the game will end abruptly. If you are lucky enough to move through the map, there are prizes to be had such as 100x win being rewarded for getting to the other end of the map! There are 3 bonus features included in the game, 2 of which are low potential features, likely only added to spice up the game with some diversity. 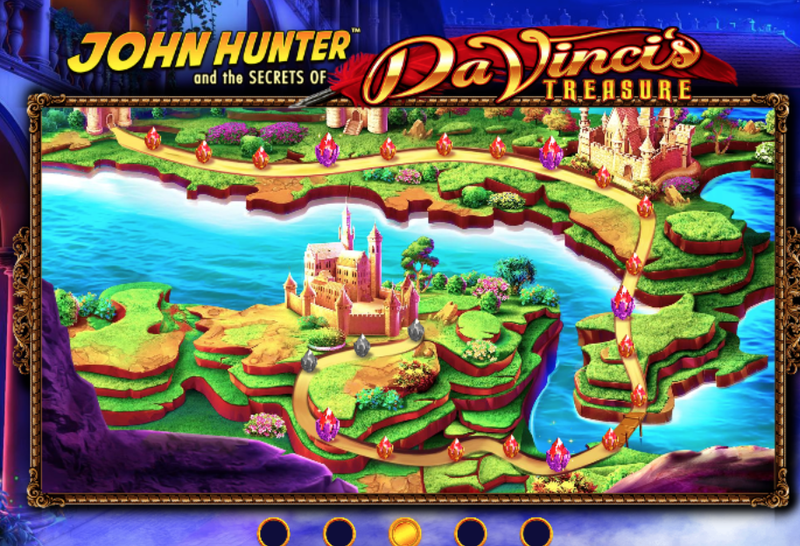 All features, including the free spins, can be activated by landing 3 bonus symbols on the middle reels. When this happens, one of the following 3 bonus features will be randomly awarded. Cash prizes are another big element with the prize picker round which gives you the option to pick one of three paintings for a chance to win! Finally the progressive multiplier free spin round is a good one to trigger because you will gain 12 free spin round with an added multiplier that increases by 1 on each spin! Long story short, this results in the potential of having a 12 x multiplier and the chance of re-triggering 60 free spins! There is the possibility of reaching a 60 x multiplier too which would payout 48,000 times the stake…can you imagine? If you like the sound of that, come and discover more of our offered casino promotions on Easy Slots.